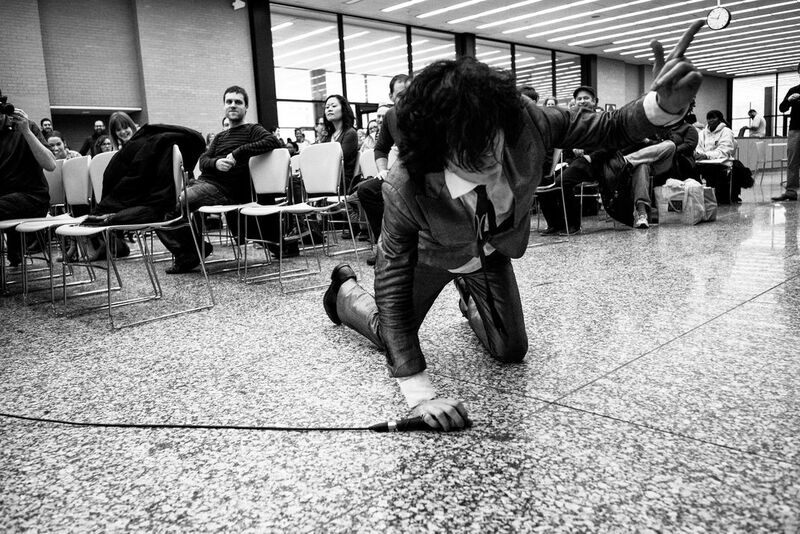 Ian Svenonius of Chain and the Gang at MLK Library, 2015. Chain and the Gang at MLK Library for the Capital Fringe Music in the Library Series, January 23rd. Date Uploaded: Dec. 17, 2015, 6:07 p.m.